Superman Forever #1 opens with the Jonathan & Martha Kent driving down a road in their pickup truck. It looks like it's gonna be another retelling of Superman's origin, his arrival on Earth as a baby, but it is revealed that this is actually in present day & the Kents find a naked Clark has crash landed. 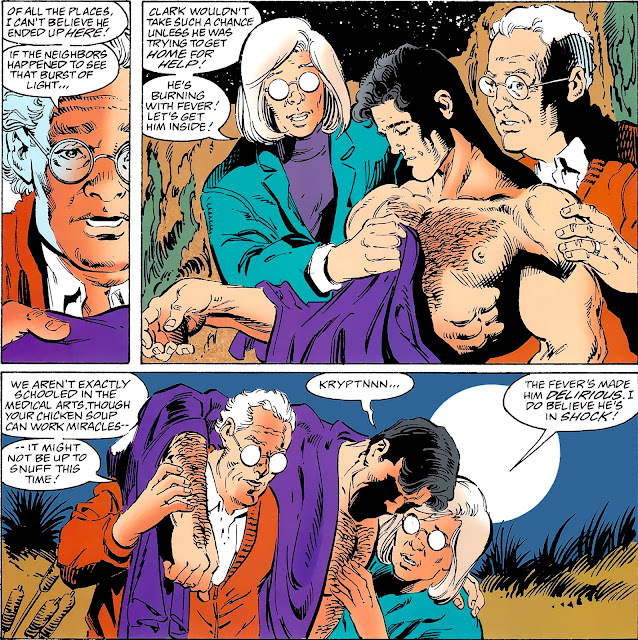 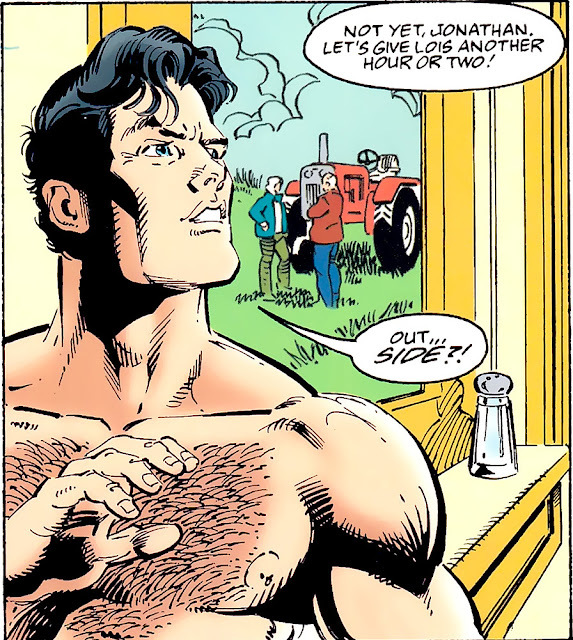 I loved when John Byrne and George Perez drew Superman as a gorgeous hairy man!!! 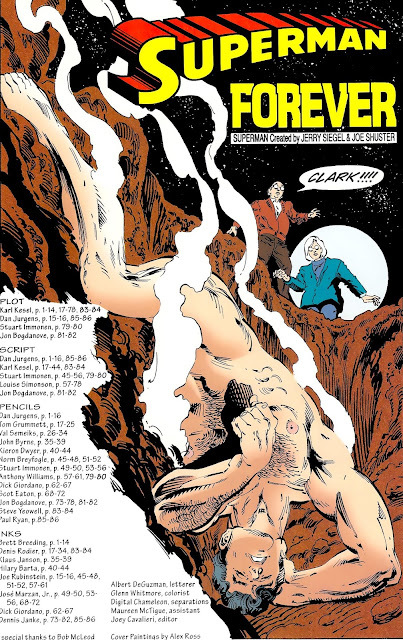 Love Bryne & Perez too. 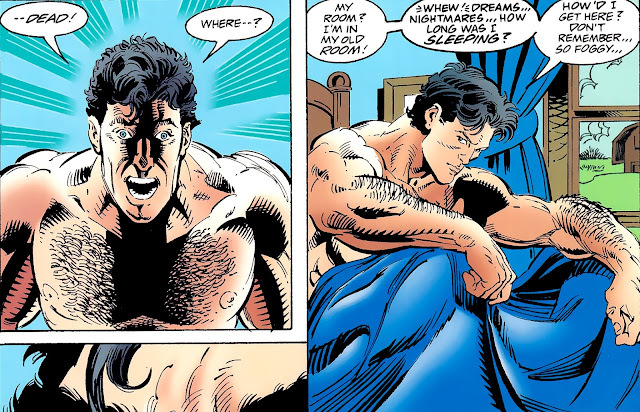 Dan Jurgens did the art for these panels though. He's another fav of mine.